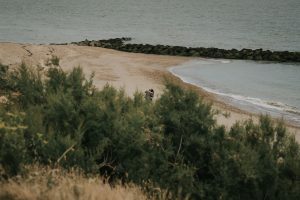 I had the absolute pleasure as an Essex proposal photographer of photographing Hitesh’s proposal to his beautiful girlfriend, Pretty, along the beach in Holland On Sea. 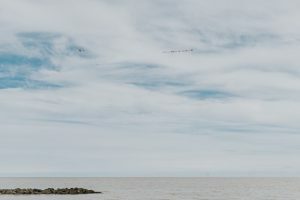 Hitesh and Pretty were staying at the seaside hotel Kingscliff Hotel in Holland On Sea to celebrate Hitesh’s birthday and as far as Pretty was aware, their plans for the evening consisted of a walk along the beach and of course, a taste of Clacton’s staple dish – good ol’ fish and chips. 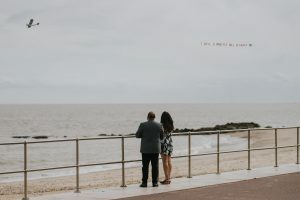 Little did she know, their trip to the chip shop would be slightly delayed by a lovely surprise on the way and it would all be captured as Hitesh hired an Essex proposal photographer! 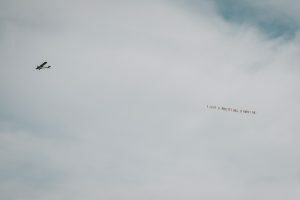 Hitesh paired up with Clacton Aero Club and arranged for a plane to fly overhead asking Pretty to marry him. Everything went according to plan and much to Hitesh’s relief, Pretty said yes! 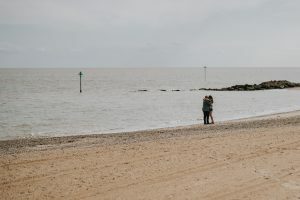 Such a romantic idea and one I was proud to photograph as an Essex proposal photographer. Pretty had no idea I was hiding in a bush (slightly creepy!) 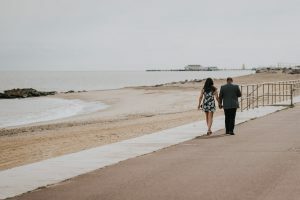 and was delighted when she realised Hitesh had organised for an Essex proposal photographer to capture it all so that they had something to look back on. If you’re thinking of proposing to your partner and would like it to be captured on camera then please get in touch! 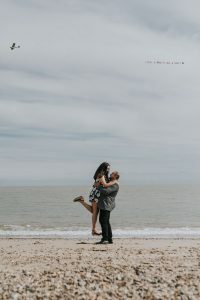 After all the moment will be such a blur that it will be hard to remember every detail, so take that pressure off your shoulders and rest assured that the whole moment will be photographed by your Essex proposal photographer.